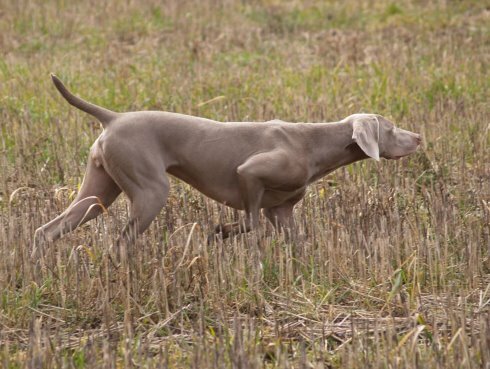 The Weimaraner falls into the gundog subgroup of "dogs which hunt, point and retrieve", otherwise known as the HPR Group. Accordingly we are of the firm belief that the Weimaraner should be allowed to exercise its natural instincts in the field through work or trials. 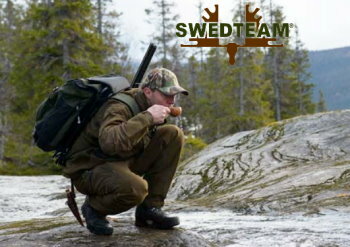 On feather, the sequence: "Hunt-find-Point-flush-shoot-Retrieve" is key to the success of the HPR in the field. On fur there would undoubtedly be the interposition of a T for tracking before or after the shot element, and the flush will be absent in favour of voice to indicate the find. We are delighted to announce that home bred Bastillian Lady Kasshilde was awarded a 2nd place in the Novice Field Trial held by the WCGB at the Glassenbury Estate, Kent on 29th December 2012. This was Kassie's first season of field trialling and she has been a very quick learner. We began to think we might achieve something this season after she narrowly missed going to water three weeks earlier at the HGS All-Aged stake at Matterley. Even so, the Guns on the day saw fit to present Kassie with their "Guns Award", and at the very next trial she repaid the compliment by getting a 2nd place. Kassie has now followed her mother with success in Field Trials.